Defense Minister signs a declaration designating IS and Abdullah Azzam Brigades as unlawful organizations. 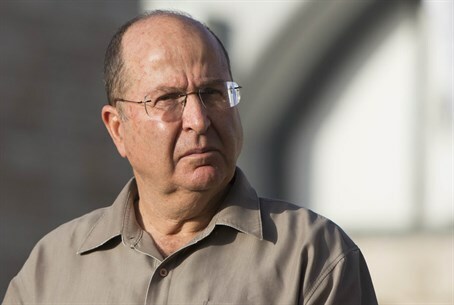 Defense Minister Moshe Ya'alon on Wednesday signed a declaration which designates the Islamic State (IS) and the Lebanon-based Abdullah Azzam Brigades terrorist groups as unlawful organizations. The designation allows for legal action and other measures against these organizations, as well as against anyone fundraising for them or carrying other activities associated with these organizations. The signing of the declaration was done in accordance with the recommendation of the Israel Security Agency (Shin Bet). The declaration comes a day after the IS released a video which shows the beheading of American journalist Steven Sotloff who, it was later revealed, made aliyah to Israel in 2005 by himself, and studied at the Interdisciplinary Center (IDC) Herzliya. The group has also previously claimed responsibility for rocket attacks from Lebanon towards northern Israel.